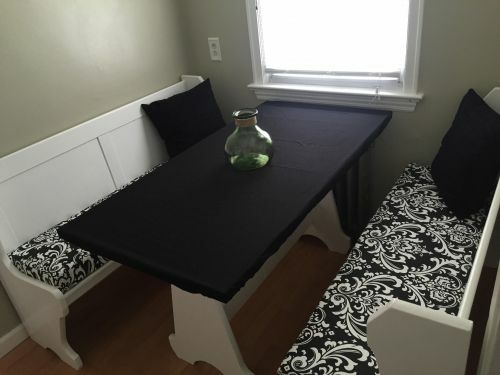 "My new breakfast nook bench cushions!! I recently updated my kitchen and it was impossible to find a cushion replacement for this old bench set which has a rare measurement. These cushions completely made over the kitchen and are super comfortable. Thanks Cushion Source!!!"